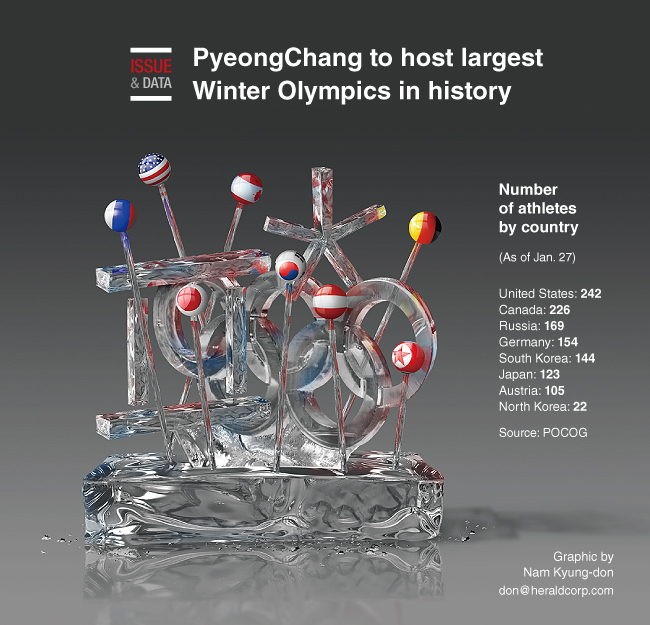 According to the PyeongChang Organizing Committee, 2,925 athletes from 92 countries have registered to compete in the Olympics, marking the biggest number of athletes in history. The 2014 Sochi Winter Olympics had been the largest with 2,858 athletes from 88 nations. South Korea will have a record 144 athletes competing in all 15 sports at the games. The US has the largest team for the games, with 242 athletes, followed by Canada with 226. Meanwhile, North Korea will have 22 athletes in five sports, including 12 in women’s ice hockey, where the two Koreas will have a joint team.